Expeditions at GET provide the ultimate in challenges for both the individual and team. We offer a variety of tailored itineraries for all school groups and abilities. All of our expedition destinations offer a variety of culture, environments, climates and means of travel. We can also cater for a variety of abilities and ages to ensure the expedition is open to everyone in your group. Our expeditions can be tailored to include other elements of curricular and extracurricular importance: IB/CAS, Duke of Edinburgh Award, and curricular subjects which can complement the expedition. The length of our expeditions is usually between 5 and 8 days, however these can be altered to meet the needs of the school. Biking: Many options at our main GECO Camp destinations of France and Oman, and in other destinations upon request. NEW are our biking tours in Cambodia and other SE Asia destinations. Camel Trekking: Join us for a 1-4 day camel expedition in Oman. Crossing the Wahiba Sands, and learning about desert life in the footsteps of some of the great explorers, like Wilfred Thesiger or Bertram Thomas. Canoe Safari: Canoe safari down the Dordogne River, France; jungle canoe in Sri Lanka, or Sea Kayak in Oman and Thailand. From day trips to overnight and multi-day safaris. Multi-activity: Combine several adventurous activities into one programme: GECO Camps: Oman & France, Thailand, Peru, Australia, and more on request. Trekking: A wide range of options and destinations available: Some of our popular programmes include: Kilimanjaro, Nepal, Oman, Indonesia, Australia, China, Sri Lanka, Jordan and France. 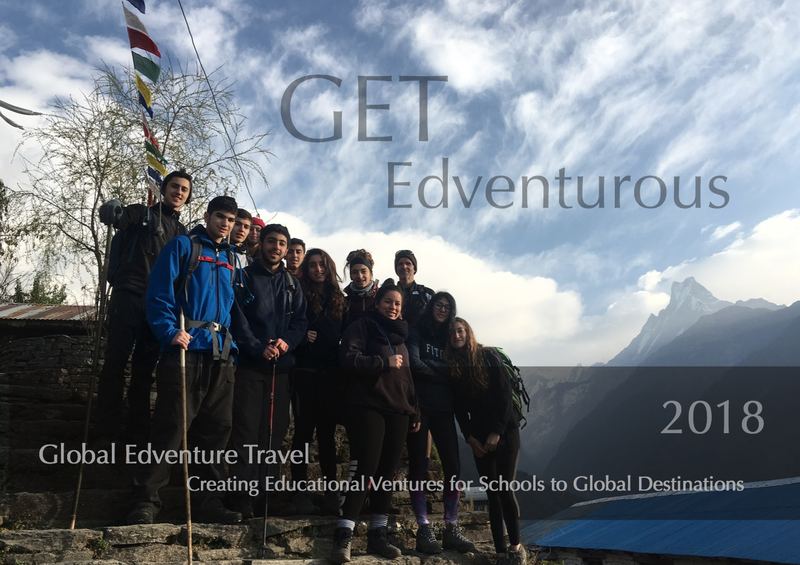 Cross-curricular: Why not combine your expedition activities with IB CAS or the Duke of Edinburgh International Award – contact us for a variety of tailor-made programmes.